Rabi ul Awwal Moon Likely to Sight in Pakistan on 9th November and 12th Rabi ul Awwal, Eid Melad Un Nabi to be on 21st November, 2018. Rabi ul Awwal 1440 Hijri Likely to be on 9th November in Pakistan. The sighting of the moon of Rabi ul Awwal, the third month of the Islamic calendar 1440 hijri is likely to start on 9th November 2018 in Pakistan. 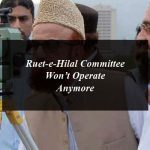 The Central Ruet-e-Hilal Committee (CRHC) will officially declare the sighting of the Rabi ul Awwal 1440 Hijri in Pakistan on 8th November. 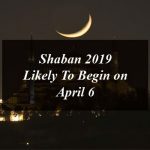 As per the reports the chances of the Rabi ul Awwal moon 2018 on November 8 is highly doubtful, forecasts the Pakistan Meteorological Department. 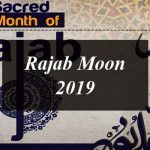 According to Abdul Rashid, director at the PMD Climate Data Processing Centre, the new moon of Rabi ul Awwal 1440 Hijri will be born on the crossing conjunction point at 21-02 PST on 7th November. On the other hand the reports revealed that the weather is expected to be fair or partly cloudy in most parts of the country on Wednesday, 8th November, 2018. If the Rabi ul Awwal moon 2018 not occurs on the eve of 8th November then the 12th Rabi ul Awwal, Eid Melad Un Nabi, the birth anniversary of Prophet Muhammad (PBUH), will be on 21st November in Pakistan. The official announcement will be made by the Mufti Muneeb-ur-Rehman after watching moon on 8th November. The government of Pakistan will declare official public holiday on 12th Rabi ul Awwal, Eid Melad Un Nabi. There will be a public holiday on the occasion of Eid Melad Un Nabi 2018 in Pakistan on 21st November. All the government and semi government offices, private offices, businesses, shopping malls, post offices and educational institutions will remain close on the day of 12 Rabi Ul Awwal 2018 in Pakistan. When Will 12th Rabi ul Awwal (1439 Hijri) 2017 in Pakistan? Rabi ul Awwal Moon Likely to Sight in Pakistan on 9th November and 12th Rabi ul Awwal, Eid Melad Un Nabi to be on 21st November, 2018. Rabi ul Awwal 1440 Hijri Likely to be on 9th November in Pakistan.